By buying this product you can collect up to 79 points . Your cart will total 79 points that can be converted into a voucher of 2,37 € . To check availability please contact our telephone +34 952 88 25 23 or by mail to info@golfriendshop.com with subject: 3892 Thanks you. So Clean – So Subtle – So Sophisticated in Black with just the right touches of Gold! 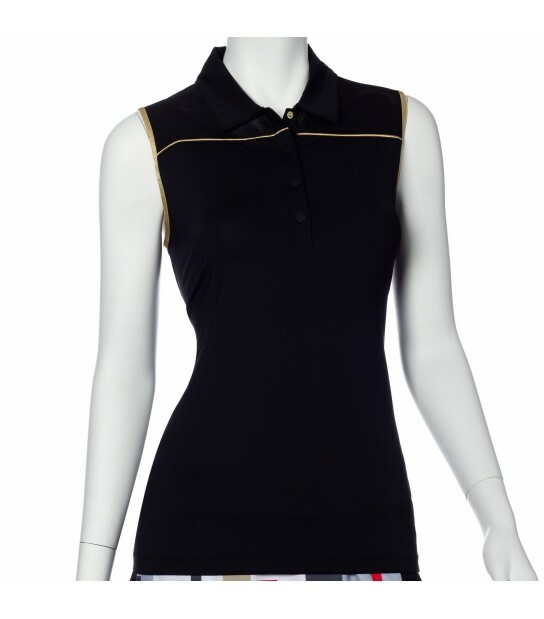 Our Birdseye Texture Jacquard Fabric is perfect for this Back Curved Cut Out detail Polo! The versatility of this style goes without saying as it ties back with every style in the Gold Standard collection! Unexpected & Chic!